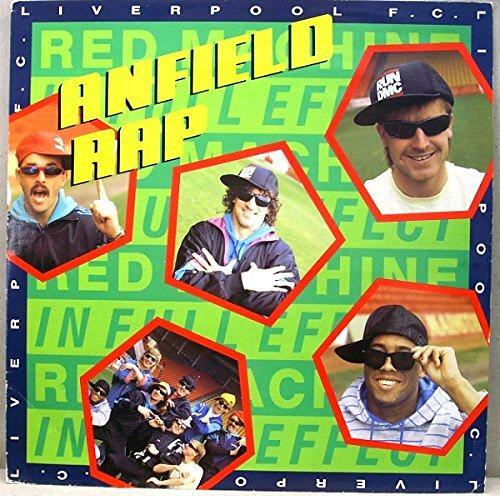 "ANFIELD RAP (RED MACHINE IN FULL EFFECT)" BY LIVERPOOL F.C. Ah, the pleasure I feel when footballers decide to release a rap single is unmeasurable, particularly when it features John Barnes and his 80s style, faux American accent, parodying LL Cool J, and rapping lines such as "I come from Jamaica, my name is John Barn-es, When I do my thing the crowd go bananas". Back in May 1988, Liverpool F.C. decided to release a rap song shortly before the 1988 FA Cup Final. Now the video was embarrassing enough, but then the result (which provided one of the biggest shocks in the competition's history) left the embarrassment of the video in the shade! Who could forget the moment when Wimbledon, a team that had been in the football league for just 11 years, beat the mighty Liverpool 1-0? 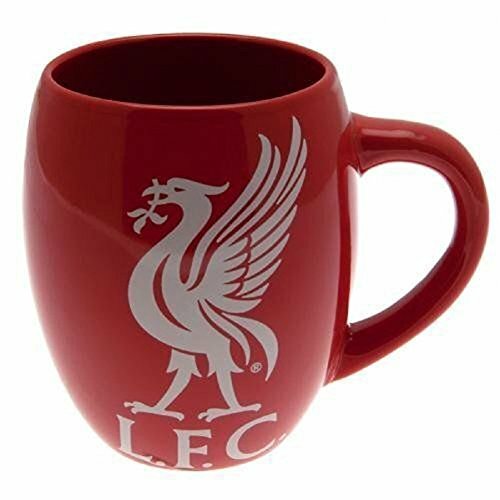 Indeed, many Liverpool fans still haven't got over the shock today! The Anfield Rap was written by rapper Derek B, Mary Byker from Gaye Bykers on Acid and the Liverpool midfielder Craig Johnston. The track also copied the guitar riff and the "ah" vocals from The Beatles version of "Twist and Shout". Rappers included the aforementioned John Barnes, goalkeeper Bruce Grobbelaar, and even ITV's football commentator Brian Moore! Other players in the video were Alan Hansen, Kevin MacDonald, Gary Gillespie, Craig Johnston, Ray Houghton, Ronnie Whelan, Steve Nicol, Nigel Spackman, Jim Beglin and manager Kenny Dalglish. The best rap award must go to goalkeeper Bruce Grobbelaar, though. Never has there been a finer rap by a South African; "Well I'm rapping now, I'm rapping for fun, I'm your goalie, the number one. You can take the mick, don't call me a clown, any more lip and you're going down" - classic stuff! The single entered the UK singles chart at #13 on 8th May 1988, reaching a peak position of #3 the following week, while Wet Wet Wet were at #1 with their cover of The Beatles song "With A Little Help From My Friends" and Fairground Attraction at #2 with "Perfect". The single fell to #4 on the 22nd May, and then out of the top 10 the following week to #12. Now, I could drone on forever about how bad the song is and how a white guy wearing a baseball cap sideways on is never a good look. There's no getting away from the fact that those lyrics are pretty dire! But to be fair, the lads put a decent amount of effort into their raps and appeared to be thoroughly enjoying themselves in the process, even if many believe this to be the worst song ever to come out of the 80s. Simplyeighties.com is a participant in the Amazon Associate affiliate program. This enables us to earn fees from linking to products at Amazon UK.